Thomas Chubb (September 29, 1679 – February 8, 1747) was an English lay Deist writer, born near Salisbury. Chubb regarded Christ as a divine teacher, but held reason to be sovereign in matters of religion, questioned religions' morality, yet was on rational grounds a defender of Christianity. He had no learning, but was well up in the religious controversies of the time. Chubb wrote The True Gospel of Jesus Christ, Asserted, wherein he stated that one must distinguish between the teaching of Jesus and that of the Apostles who wrote the Gospels. Chubb's views concerning free will and determinism, as expressed in his book A Collection of Tracts on Various Subjects (1730) was the subject of extensive criticism by Jonathan Edwards in his book Freedom of the Will (1754). He published tracts, one of which, The Previous Question with regard to Religion, went through four editions, three in 1725. They were collected in a quarto volume in 1730, and attracted wider notice. (A second edition, in 2 volumes which appeared in 1754 included 35 tracts.) Chubb was encouraged to write further tracts. A disciple of Samuel Clarke, he gradually diverged from Arianism into a modified deism. In 1731 he published a Discourse concerning Reason, … (showing that) reason is, or else that it ought to be, a sufficient guide in matters of Religion. Some ‘reflections’ upon ‘moral and positive duty’ were added, suggested by Clarke's Exposition of the Catechism. In 1732 he published The Sufficiency of Reason further considered … appended to an ‘enquiry’ directed against a recent sermon by Samuel Croxall, and urging that the celebration of Charles I's martyrdom was inconsistent with the celebration of William III's arrival. In 1734 appeared four tracts, in which he attacks the common theory of inspiration, argues that the resurrection of Christ was not a proof of his divine mission, and criticises the story of Abraham's sacrifice of Isaac. The whole argument showed an increasing scepticism, and the argument about Abraham led to some controversy. He returned to the question in 1735 in some ‘Observations’ on Thomas Rundle's nomination to the see of Gloucester, Rundle having been accused of disbelieving the story. Three tracts are added in continuation of the former discussion. In 1738 Chubb published ‘The True Gospel of Jesus Christ asserted,’ which provoked various attacks, including one from Ebenezer Hewlett. It was followed by ‘The True Gospel of Jesus vindicated,’ and ‘An Enquiry into the Ground and Foundation of Religion, wherein it is shown that Religion is founded on Nature.’ His doctrine is that true Christianity consists entirely in the belief that morality alone can make men acceptable to God, that repentance for sin will secure God's mercy, and that there will be a future retribution; three points upon which he constantly insists. In 1740 appeared an ‘Enquiry into the Ground and Foundation of Religion,’ including a controversy with Henry Stebbing. Chubb, arguing against the literal interpretation of the command to give all to the poor, observes that Stebbing has two livings, a preachership and an archdeaconry, and is now becoming chancellor of the diocese of Salisbury, and can therefore hardly interpret the command literally for himself. In 1741 appeared a ‘Discourse on Miracles,’ arguing that they can at most afford a ‘probable proof’ of a revelation; in 1743 an ‘Enquiry concerning Redemption,’ in which he defends himself against some sneers of William Warburton's; and in 1745, ‘The Ground and Foundation of Morality considered,’ an attack on Thomas Rutherforth's theory of self-love. 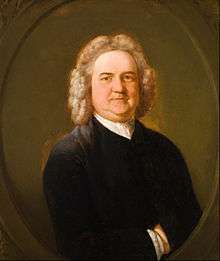 The last work Chubb published himself was ‘Four Dissertations’ (1746), in which he attacks some passages in the Old Testament with a freedom which gave wide offence. Chubb was sure that God heard all our petitionary prayers, but he did not think God answered all of them in the way we wanted him to. God answered only some of our prayers, and only if they were for lawful things and we prayed earnestly “with a modest resignation to God’s will.”[vi] Chubb thought that God sometimes gave us harmful things we prayed for, but then God acted “in displeasure.” In another tract, he was more pessimistic about God's positive response rate to our prayers. He cited evidence that God did not often answer our prayers: over the last two hundred years, millions of sincere, fervent prayers had petitioned God for the defeat of the Antichrist, but the Roman Catholic hierarchy or other interests bent on defeating God's kingdom still existed. ↑ See Thuesen, ed., The Works of Jonathan Edwards, Vol. 26, Page 324. 1 2 3 4 5 Stephen 1887. ↑ Waligore, Joseph (July 2012). "The Piety of the English Deists". Intellectual History Review. 22 (2): 181–197. doi:10.1080/17496977.2012.693742. Retrieved July 9, 2012. ↑ Thomas Chubb, “An Enquiry Concerning Prayer,” in A collection of tracts on various subjects, 2nd ed., 2 vols. (London: 1754), 1:288-9, as cited in Waligore, p. 191. ↑ Thomas Chubb, “An Enquiry Concerning Prayer,” in A collection of tracts on various subjects, 2nd ed., 2 vols. (London: 1754), 1:277-289, as cited in Waligore, p. 191. ↑ Thomas Chubb, The True Gospel of Jesus Christ Vindicated (London, 1739), 68-70, as cited in Waligore, p. 191. This article incorporates text from a publication now in the public domain: Stephen, Leslie (1887). "Chubb, Thomas". In Stephen, Leslie. Dictionary of National Biography. 10. London: Smith, Elder & Co. pp. 297–298. This article incorporates text from a publication now in the public domain: Wood, James, ed. (1907). "Chubb, Thomas". The Nuttall Encyclopædia. London and New York: Frederick Warne. Thomas Chubb, A Collection of Tracts on Various Subjects (London, 1730). On Google Books. Joseph Waligore, "The Piety of the English Deist s," Intellectual History Review, July 2012, Vol. 22, 2.